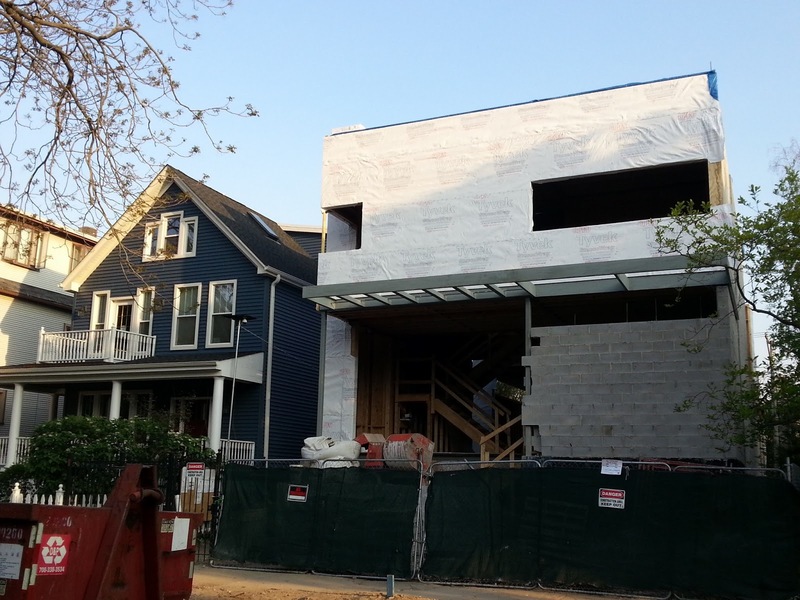 We first mentioned this new construction on West Eastwood earlier this year. 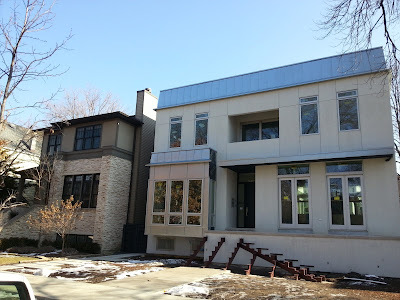 The vast majority of new construction in the Lincoln Square neighborhood is very "American traditional" in exterior style and transitional in the interior. This custom new build looks to be striking out on its own...which I think is great. It may be following in the footsteps of double-lot contemporary home nearing completion of North Seeley Avenue pictured below. I'd love to see the Eastwood house lean toward minimalist modern. I spoke to some neighbors on this West Eastwood block last week. Most seem to be happy with the way housing prices have been this year rather than concerned about the style of this house. In any event, we wish the owners luck with their new dream house in a great location. New construction houses in this area have sold from $1.3M to $1.8M in the last couple years.